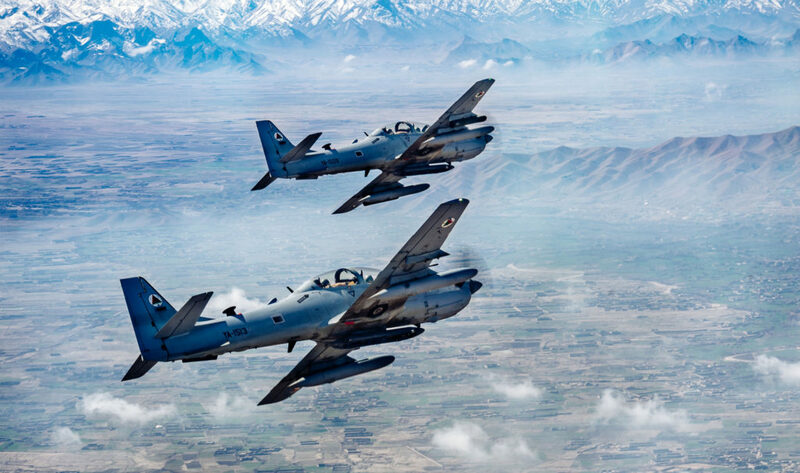 Sierra Nevada has been awarded a long-awaited contract for 12 A-29 Super Tucano light attack aircraft for the Nigerian Air Force, the U.S. Department of Defense said in a release. The contract includes ground training devices, mission planning and debrief systems, spares, ground support equipment, alternate mission equipment, and contractor support including five field service representatives for outside of continental U.S. for three years. Work will be performed in Jacksonville, Florida, and is expected to be completed by May 2024. U.S. A-29s are built in Jacksonville in a partnership between Sierra Nevada Corporation and Brazil’s Embraer, the designer of the aircraft. 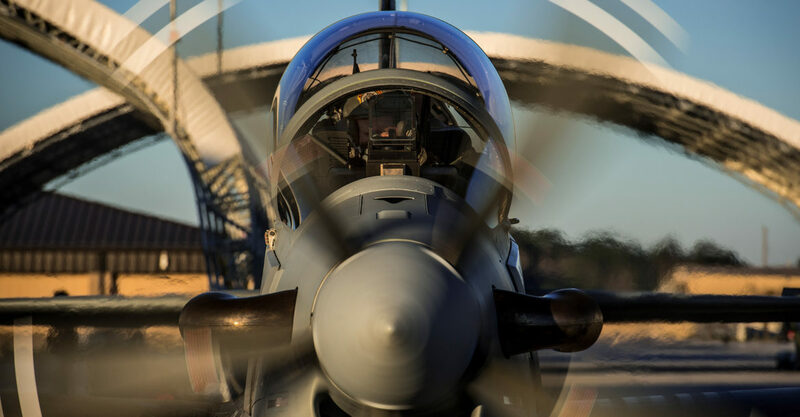 The Super Tucano is a durable and flexible aircraft designed for counter-insurgency and close air support roles. It can also be used for reconnaissance missions in low-threat environments and for pilot training, and is capable of operating from unimproved runways. The aircraft can be equipped with advanced avionics, an electro-optical, infrared and laser targeting system, as well as communications and datalinks to enhance its combat capability. The Super Tucano is relatively cheap to buy, fly and maintain, costing around $18 million each depending on configuration and about $1,000 per flying hour, according to The Diplomat. It is powered by a variant of the world’s most popular turboprop engine – the Pratt & Whitney Canada PT 6 – rather than a jet. According to Sierra Nevada, the A-29 Super Tucano has been selected by 14 air forces on three continents and has logged more than 320,000 flight hours and more than 40,000 combat hours. The sale of A-29s to Nigeria was first mooted by the administration of President Barack Obama in May 2016, but was then stalled by Obama over concerns about human rights violations after the Nigerian Air Force ‘mistakenly’ bombed a refugee camp in January 2017, killing more than 100 refugees and aid workers. The Trump administration decided to re-activate the deal in April 2017. 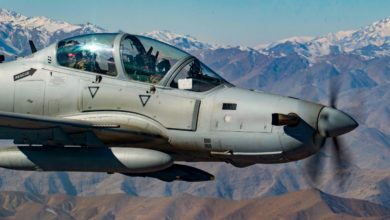 An estimated $593 million sale of A-29s for Nigeria was approved by the U.S. State Department in August 2017 and included 12 A-29s, weapons, training, spare parts, aviation and ground support equipment, hangar, facilities, and infrastructure. No weaponry was detailed in the 2017 DSCA release, but according to the notification delivered to the U.S. Congress at the time, the proposed sale included 5,000 Hydra 70 2.75-inch unguided rockets, 400 Laser Guided Rockets including the laser-guided Advanced Precision Kill Weapon System (APKWS), 200 Paveway II laser-guided bomb tailkits and 2,000 MK-81 250-lb bombs, as well as practice rockets and machine gun ammunition. 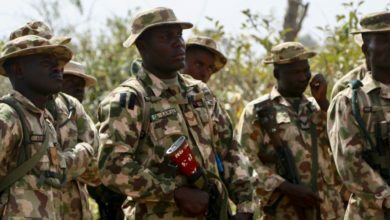 Wednesday’s contract announcement did not include weaponry, but Nigeria was one of the countries listed in U.S. Department of Defense contract notifications for bomb fuzes in June, and Hydra rockets in June and September, although it is unclear if this equipment is related to the aircraft sale. The notification to Congress also specified seven FLIR-made AN/AAQ-22F Brite Star Electro-Optical/Infrared Multi-Sensor Targeting Systems, as opposed to the six in the contract announcement. These systems include a laser designator for the guided munitions, in addition to the color camera and large format thermal imager. 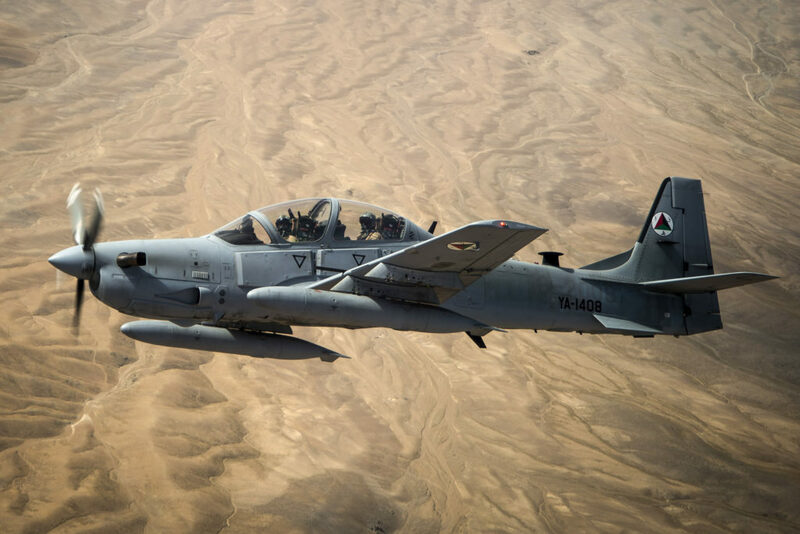 In December 2017, the Nigerian Air Force said that the U.S. had agreed to sell 12 A-29 Super Tucano aircraft, and that final agreements would be signed and payments made by February 20. However, in January, Nigeria’s Defence Minister Mansur Dan Ali said that Nigeria would not accept the conditions for transfer of the aircraft, a deal then valued at $494 million. 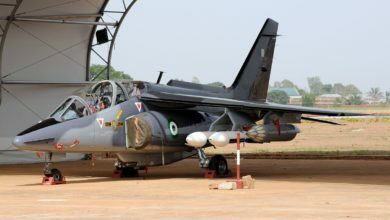 According to Reuters, the government was unhappy that Nigerian technicians would not be trained or be part of maintenance crews, nor could they study the aircraft’s production, potentially pointing to concerns that technologies could find their way into Nigeria’s burgeoning indigenous military aircraft and drone manufacturing industry. It is unclear whether Nigeria succeeded in having these conditions altered. Dan Ali also highlighted government concerns over a 2020 transfer date, with Nigeria wanting the aircraft sooner. 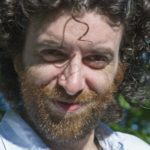 The contract completion date of May 2024 could mean that request has fallen on deaf ears, although the three-year support contract may allow early delivery, and a training schedule, including by the U.S. Air Force, that was included in the notification to Congress that has not yet been made public. According to Nigeria’s Premium Times, President Muhammadu Buhari placed the order in April, and the government transferred $469.4 million to the U.S., although The Guardian Nigeria reported the figure was $462 million. An expeditious delivery of the aircraft was still high on the agenda in August, when Nigeria’s Chief of the Air Staff, Air Marshal Sadique Abubakar, appealed directly to Taco Gilbert, the Senior Vice President of Sierra Nevada Corporation, while he was on a visit to Abuja. 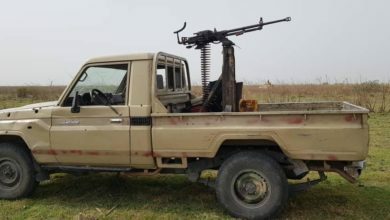 Abubakar reportedly urged the company to deliver at least two of the aircraft early, for use in ongoing counter-insurgency operations, something that may be possible given Sierra Nevada’s record of early delivery of A-29s, including to Afghanistan and Lebanon. The withdrawal of $1 billion in total from Nigeria’s Excess Crude Account by Buhari for military equipment purchases has not been without controversy. Some lawmakers argued he overstepped his authority by not gaining approval from the national assembly, and in October, the African Centre for Media and Information Literacy (AFRICMIL), filed suit against the president over the withdrawal for the purchase of A-29s. Buhari came to power in 2015 on the promise to end Boko Haram violence and has come under pressure following the recent surge in attacks as he seeks re-election next February. Three soldiers were killed in a Wednesday attack on a military base in Borno state near Lake Chad. The attack was blamed on the Islamic State West Africa Province faction of Boko Haram. But there have been at least 17 similar attacks since July. 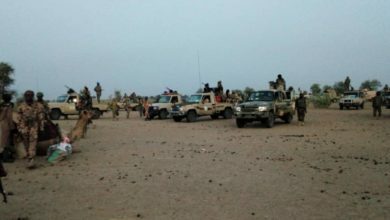 In the most audacious attack on November 18, ISWAP fighters killed at least 43 soldiers when they overran a base in Metele village near the border with Niger, although soldiers who survived the raid said more than 100 of their colleagues were killed.